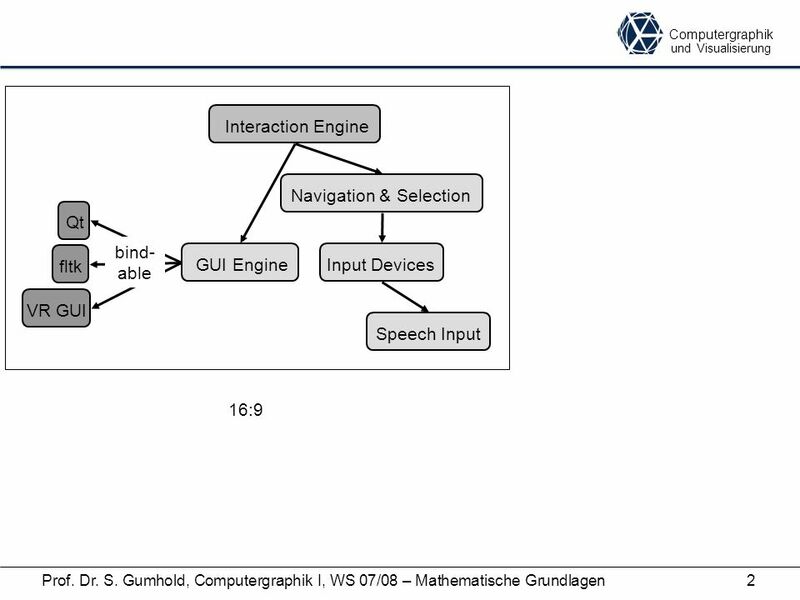 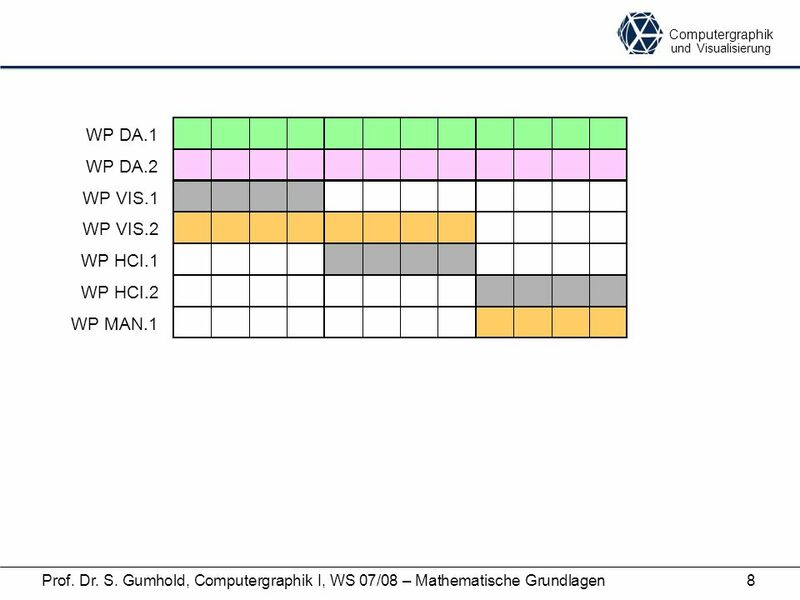 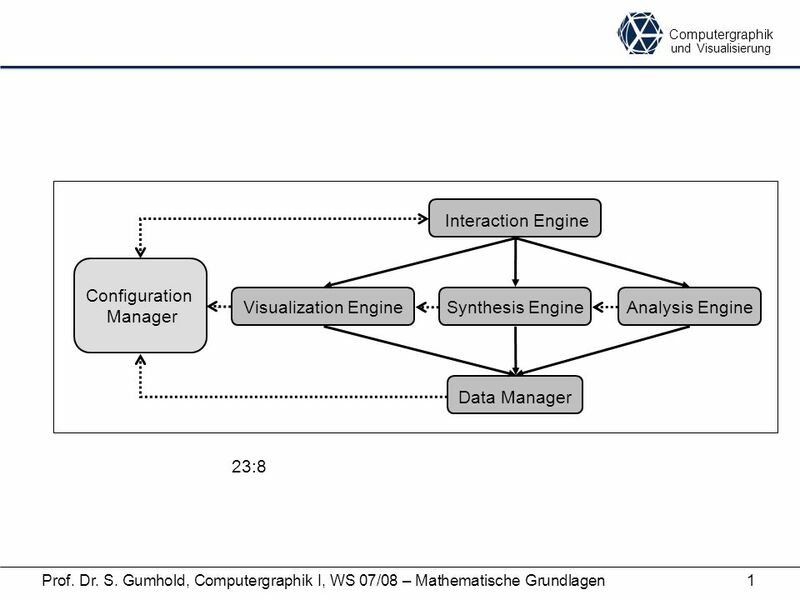 Computergraphik und Visualisierung Prof. Dr. S. Gumhold, Computergraphik I, WS 07/08 – Mathematische Grundlagen1 Data Manager Interaction Engine Visualization. 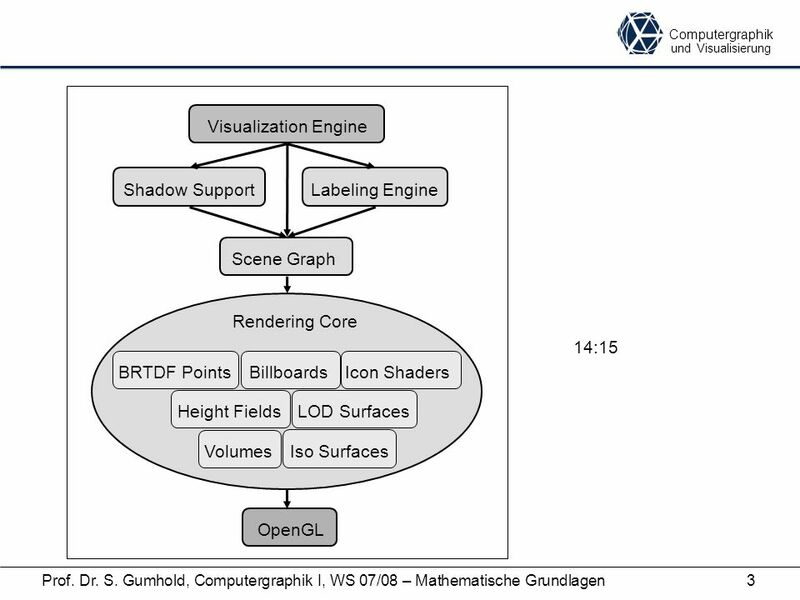 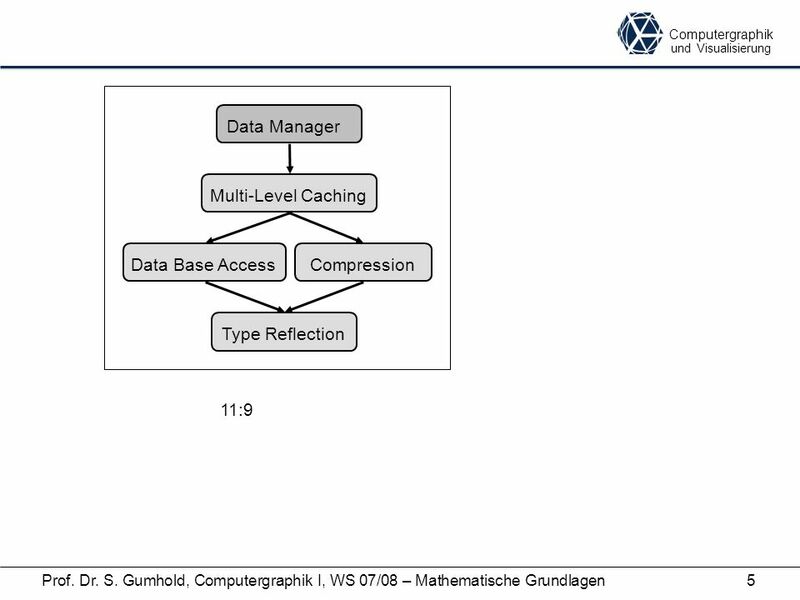 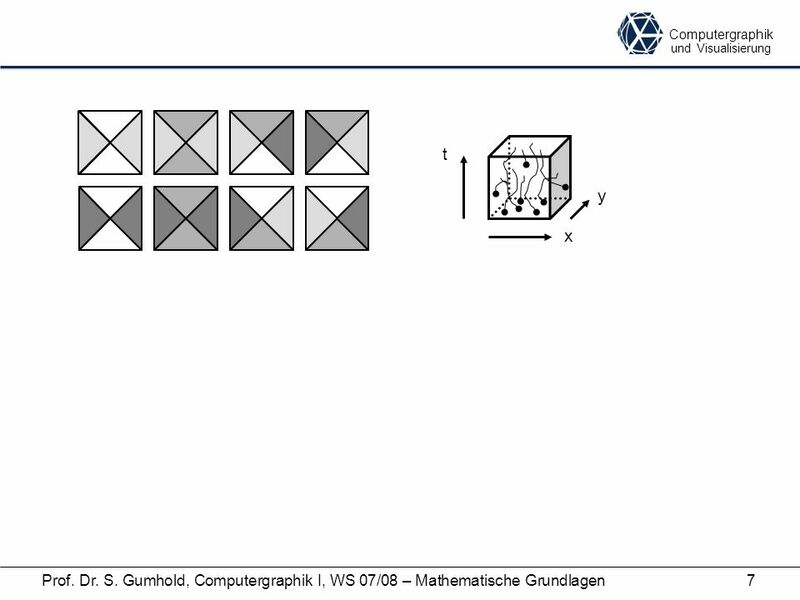 Herunterladen ppt "Computergraphik und Visualisierung Prof. Dr. S. Gumhold, Computergraphik I, WS 07/08 – Mathematische Grundlagen1 Data Manager Interaction Engine Visualization." 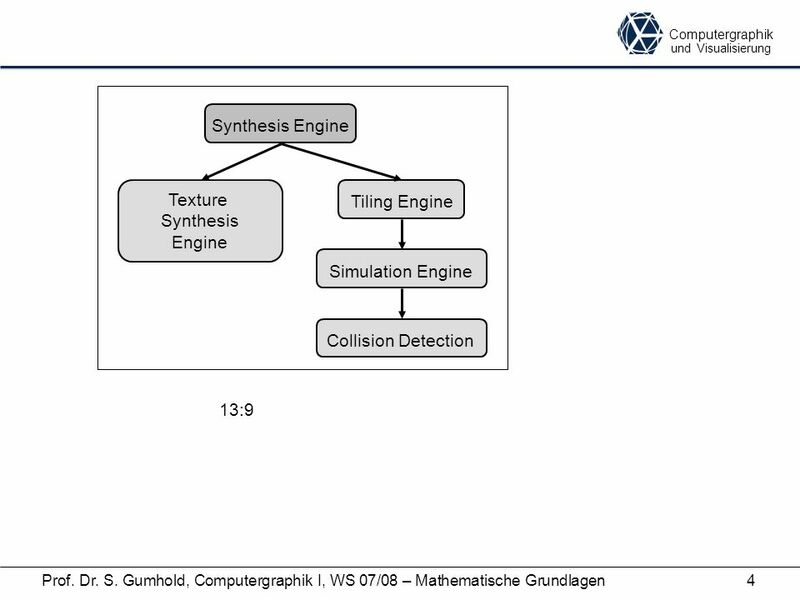 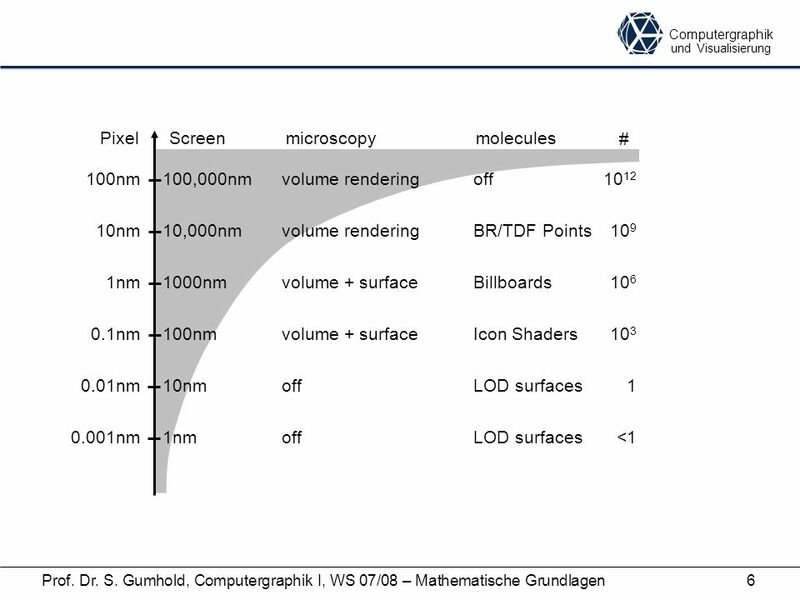 Benjamin Herrmann computer graphics & visualization Physics Based Simulation on GPUs.